Look veryyy closely at this one scene. Behind the scenes intel on how TV shows accomplish their magic can be super fascinating. For instance, Riverdale's KJ Apa had to spend 10 hours in a salon dyeing his naturally brown hair the requisite red to play Archie. Another Riverdale BTS fact? Lili Reinhart (Betty Cooper) has four tattoos but only three that are covered up on the show. In an interview with Refinery29, Lili revealed that her tattoos were usually covered up for the show, but that there is one tattoo they stopped covering up altogether. MEANING Betty Cooper's girl next door status is officially compromised. She's got a visible tattoo and you'll have to look very closely to find it. 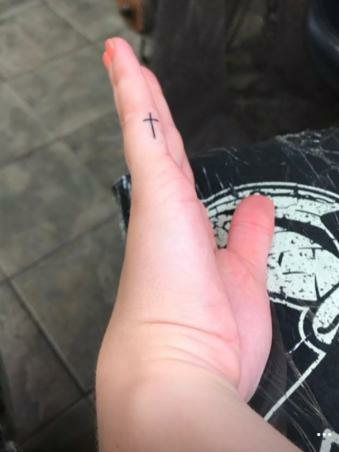 The tattoo in question is the tiny cross on Lili's finger. She got the tattoo in 2016 and even posted the video online. In keeping with Betty's squeaky clean image, Lili's tattoos are covered up MOST of the time, but if you're looking, you may spot the cross tattoo. 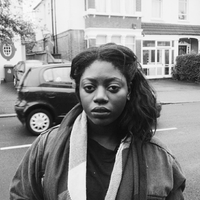 "We kind of gave up covering my [cross] finger tattoo," Lili told R29. "We literally don't cover it anymore. So if you look, you will see [it]. It's like an Easter egg." 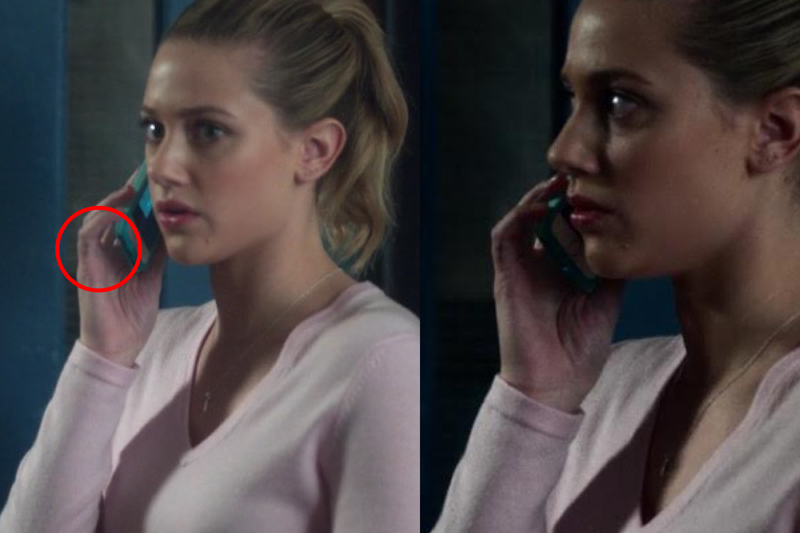 During a conversation with Jughead and Alice, Betty can be seen answering a phone call from Kevin Keller, exposing the tiny blink-and-you'll-miss-it ink. That being said, we're sure Alice Cooper would NOT approve at all. Since Lili says they've pretty much stopped covering the cross with makeup, there's a decent chance that we may get to see it in action in season 2 or maybe they'll even incorporate it into the show. Dark Betty rising?